One of the original-generation Tropical Jungle Boots. 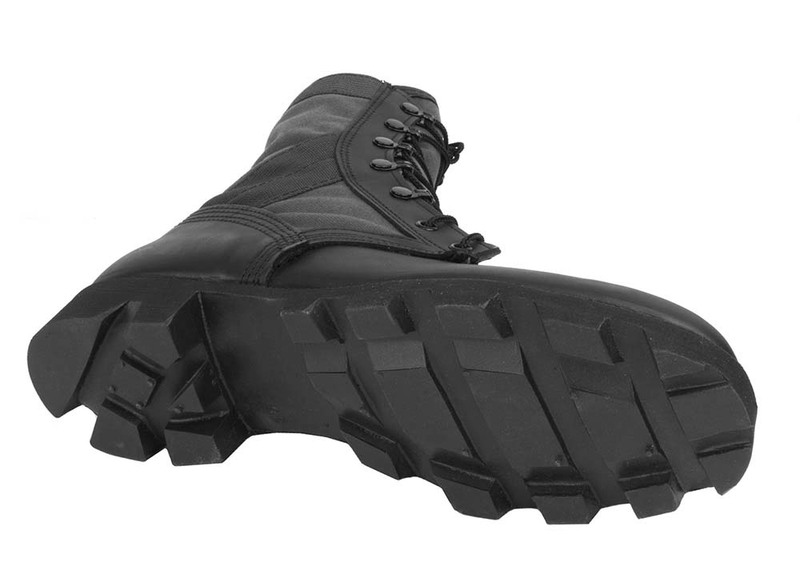 The DMS vulcanization process is used to attach the rubber Panama outsole to the upper. This process creates a bond of unprecedented strength. Featuring an upper of black full-grain leather and 1000 Denier genuine Cordura nylon fabric, this boot remains a mainstay combat boot in many foreign militaries (friendly to the USA, of course). 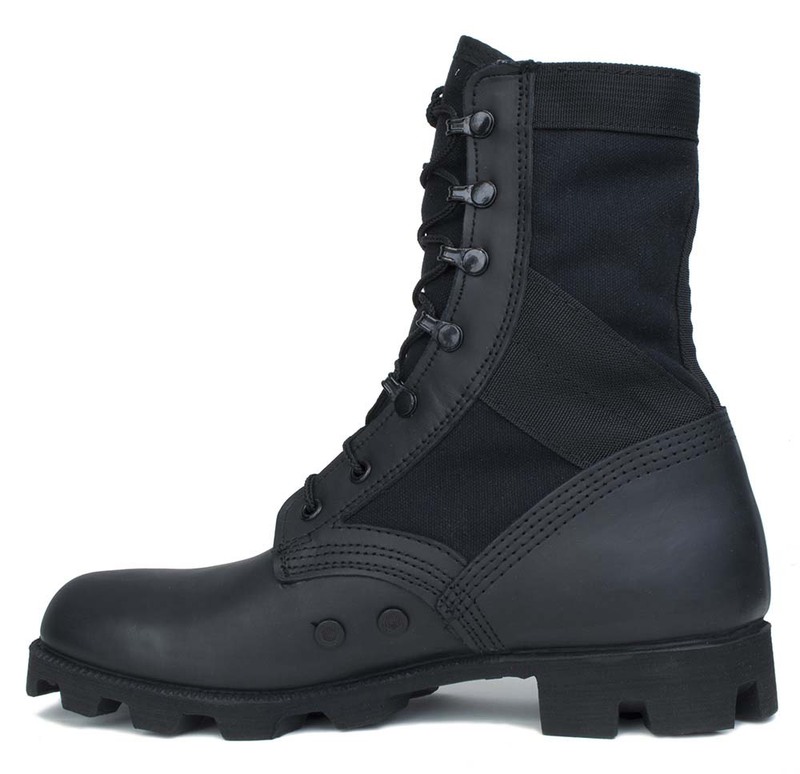 First time buying McRae jungle boots and am VERY impressed! 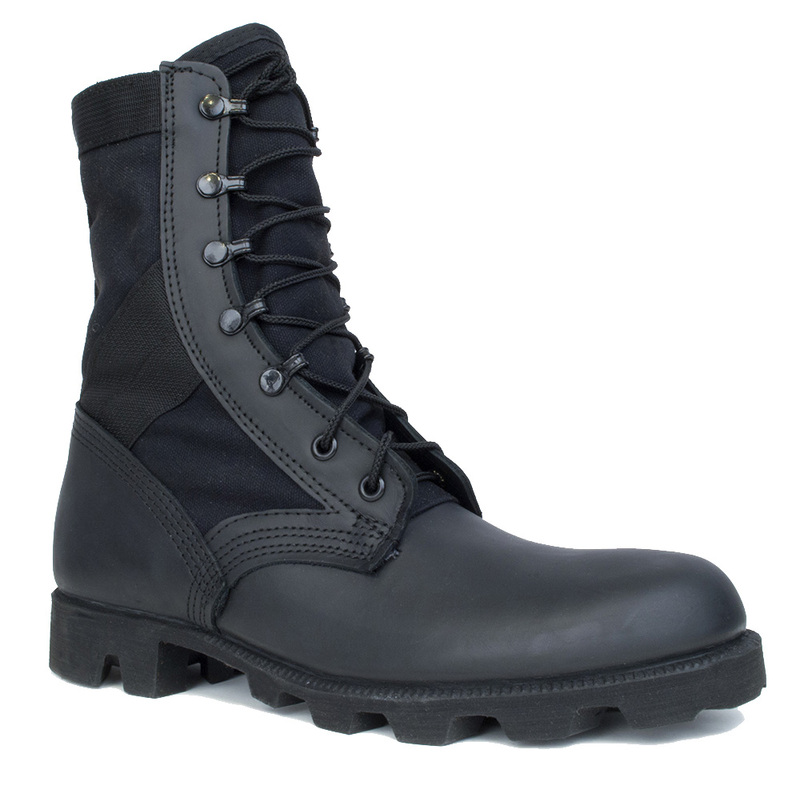 Very well-made, heavy duty stitching, eyelets and overall construction----super quality to say the least. And super fast shipping! These aren't your average eBay jungle boots made in China by any means. When it says to order a full size smaller than your casual shoes, believe it. I wear a 11.5 reg' and the 10.5 reg' boots I ordered fit PERFECTLY. If you want good boots, get 'em here! As good as it gets. 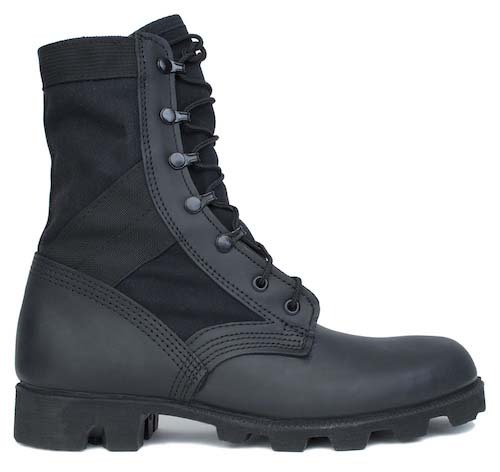 THE classic jungle boot. Light. Breathes. Just outstanding. I have worn them for 30 years in the heat of Texas. McRae is, I believe, the last manufacturer in the US.